I’m going to connect Macbeth to the story of Christmas. Yes, you read that right. There is a connection to the events in Shakespeare’s Macbeth and the events leading up to and surrounding the birth of Jesus. How does this deeply psychological tragedy of ferocious ambition and civil war relate to the Christmas story? 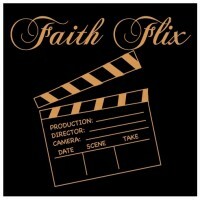 We’ll take a look at the riveting film adaptation, expertly directed by Justin Kurzel, and starring Michael Fassbender and Marion Cotillard; and then we will examine how it ties in to Jesus’ story. 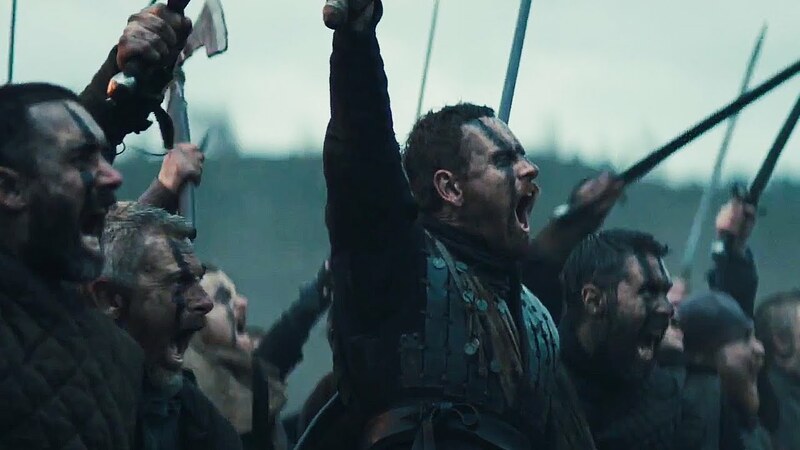 Macbeth (Fassbender), Thane of Glamis and a true soldier of the king, receives a prophecy from three mysterious witches that he will become king. 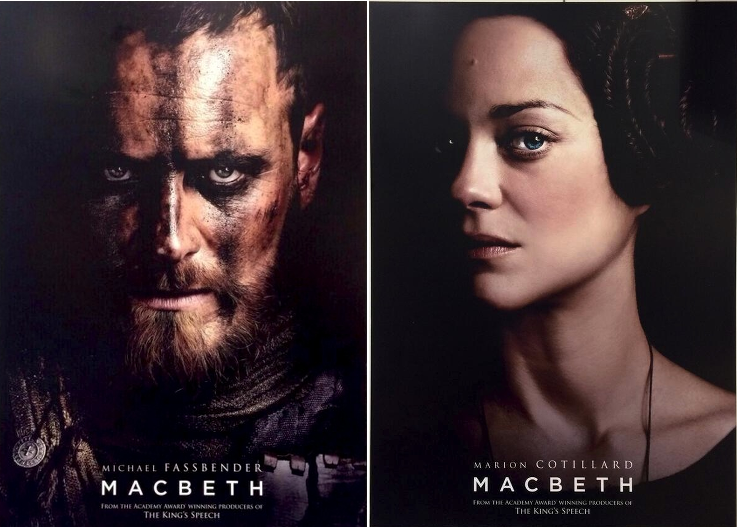 Macbeth and his wife (Cotillard) contrive a plan to assassinate the king, and once Macbeth has carried out the bloody deed, his ambition fuels his paranoia and bloodlust, and his violence escalates rapidly—leading to civil war, madness, and a tragic end. As the shortest of Shakespeare’s tragedies, Macbeth already lends itself to fast pacing and high intensity; and as with all of Shakespeare’s works, there are numerous themes to be explored and, what’s more, much is left to the interpretation of the director. 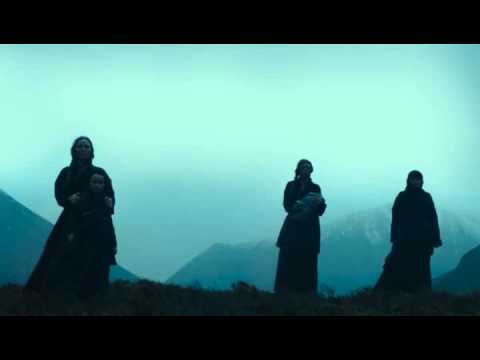 From the first shot, Kurzel makes clear his own interpretation of the catalyst for the actions of Macbeth and Lady Macbeth: the death of their child. 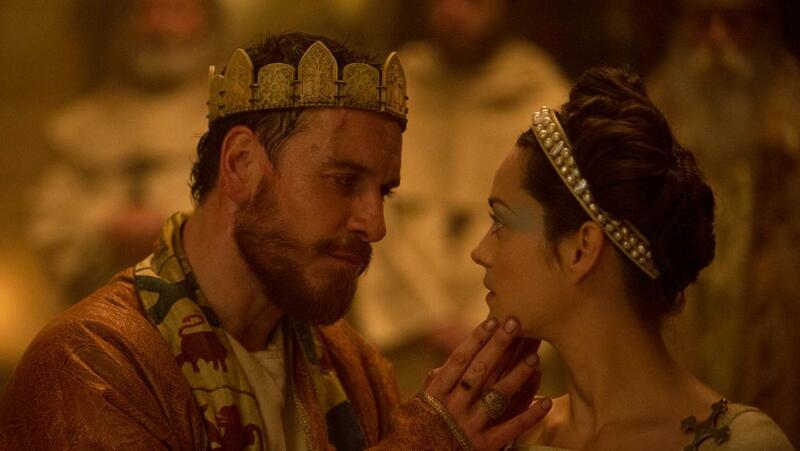 The pain of this loss, along with the horrors of war that Macbeth has been suffering through, spur them on to desire better circumstances—even aspire to “greatness.” Kurzel continues to highlight the Macbeths’ childless state throughout the film by surrounding them with other people’s children. It is Lady Macbeth who initiates the regicidal plans (she clearly needs a project), while Macbeth is conflicted right up until he plunges the knife into the king. Once the king’s son flees and Macbeth is crowned king, it seems that his troubles are just beginning. Macbeth does not feel secure on his throne—“To be thus is nothing; But to be safely thus….” [III.i.47-48]—and Lady Macbeth is no less uncertain: “’Tis safer to be that which we destroy Than by destruction dwell in doubtful joy.” [III.ii.6-7]. Like other monarchs in history as well as fiction, Macbeth feels pressured to defend his crown from any and every threat—real or imagined. His next target is his best friend, Banquo, who is slain, and his son Fleance, who escapes; he perceives both as a threat t o his crown and the future security of his throne. From there he escalates to even more innocent victims: women and children. As Shakespearean scholar Harold Bloom points out, “every person in the play is a potential target for the Macbeths.” Rulers throughout the history of the world have had to defend their crown and their position from traitors and usurpers—since loss of the throne often also meant loss of life and lineage—and some defenses are more ruthless and tyrannical than others. While examples from (relatively) recent history come to mind (such as Elizabeth I’s England), there are instances from ancient history—specifically Biblical history—that are perhaps more apropos. The moment Herod heard of another king, he made plans to eliminate the threat to his throne—in short, to find him and kill him. But of course Herod was thwarted: the Magi went home by a different route, and Joseph fled with Mary and Jesus into Egypt. 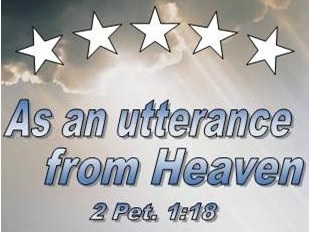 And when Herod realized that the new King had gone beyond his reach, “he was furious, and he gave orders to kill all the boys in Bethlehem and its vicinity who were two years old and under, in accordance with the time he had learned from the Magi.” (Matthew 2:16) To think that our basic human desire for security can be extrapolated out to such extremes as the murder of innocents is alarming, to say the least—and perhaps that is what makes Macbeth such a harrowing tragedy. “Hazlitt remarked of Macbeth that ‘he is sure of nothing but the present moment.’ As the play progresses to its catastrophe, Macbeth loses even that certitude….” (Bloom) The more uncertainty plagues Macbeth, the more irrationally violent he becomes, inevitably leading to the tragic and violent end. Kurzel’s film brings Shakespeare’s tragedy to raw, gritty reality on the big screen, and is expertly acted by Fassbender, Cotillard, and Sean Lewis (supporting in the role of Macduff). 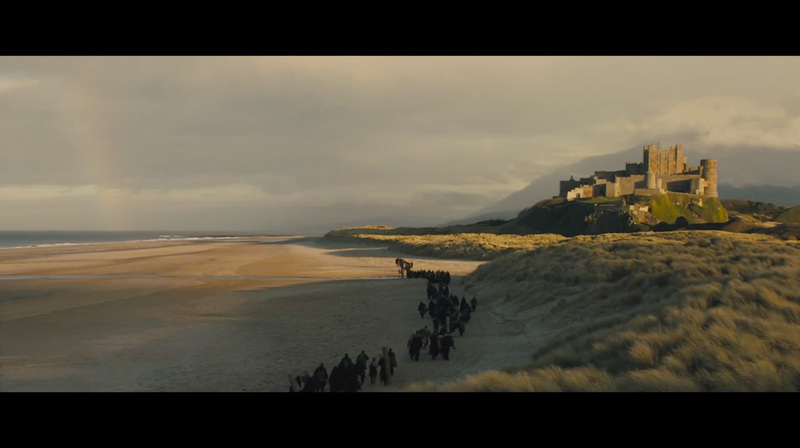 Furthermore, the evocative setting of the Scottish Highlands (Kurzel stays true to Shakespeare with his choice of location) lends an air of mystery and something of the sublime to the story—highly appropriate for a Shakespearean play that is characteristically larger than life. ← Major Changes Coming Soon! ‘Twas indeed an excellent film. As always, Shakespeare’s stories provide us with many opportunities to examine the human condition, ourselves, and our faith. It was pretty intense. Maybe a bit too long, but still, interesting to watch. Nice review.